Happy early St. Patrick’s Day from Dublin! We have wanted to come to Dublin together for quite some time, and are finally fulfilling that dream. And on a side note, we cannot believe how many healthy options there are! We will certainly be sharing more details on this when we return. 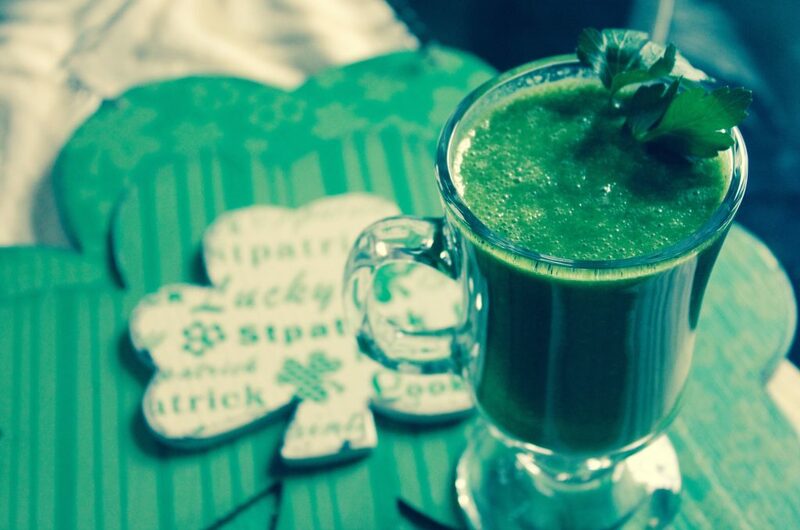 In the meantime, we have some St. Patrick’s Day recipes and a couple of challenges for you to try tomorrow. And we do not just mean adding green dye to your beer! Today, for all of your meals, we challenge you to add greens! That means anything from spinach mixed into a breakfast smoothie, kale chips or green veggies for snacks, and a hearty salad or side veggie dish with lunch and dinner. Just keep adding those greens! Whether you wake up and go for a walk or do a more active workout, get in some sort of exercise today. If you are planning on going out, it will be a bonus if you can walk to the bars and restaurants. You can also use the list of free workouts here, along with your new endurance workout here. 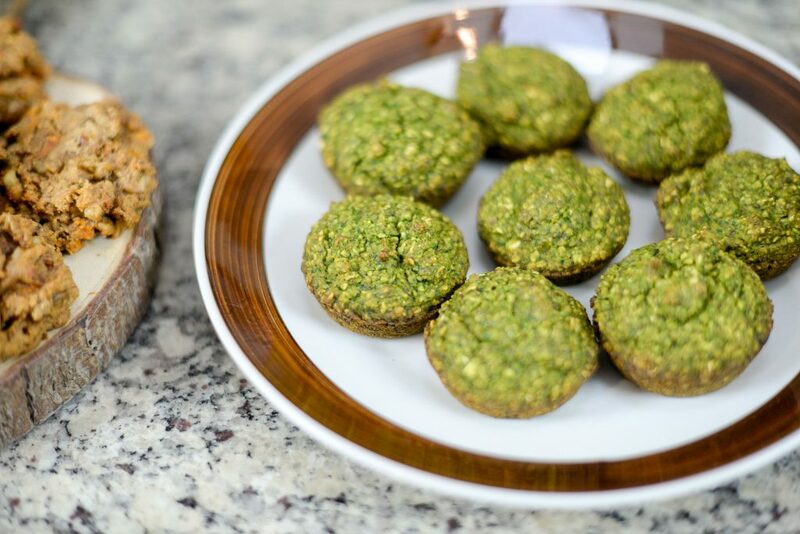 Check out the delicious muffin recipe below, along with a scone recipe here, and more St. Patrick’s themed recipes here. 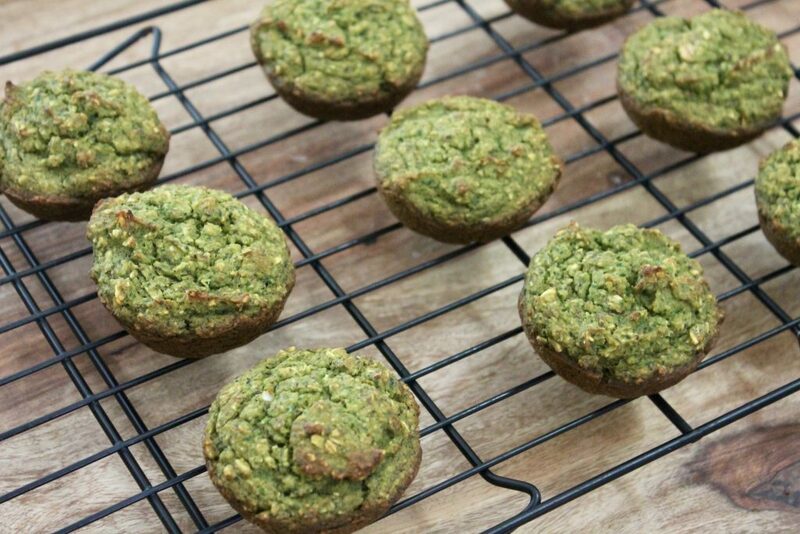 Preheat your oven to 350 degrees F, and lightly spray a muffin tin (we use coconut oil spray) with non-stick spray. In a food processor or high speed blender, combine all ingredients. Blend until everything is combined and mostly smooth. Fill muffin tins about half way with batter, and continue until all of the batter is used. Bake in the oven for 20-25 minutes, or until the edges start to turn golden and the tops of the muffins bounce back when you lightly tap them. Let cool in the tin for a couple of minutes before moving to a wire rack to finish cooling. Makes 10-12 muffins.